Calligraphy and photography share a common dilemma. Do they produce true art or merely crafts? 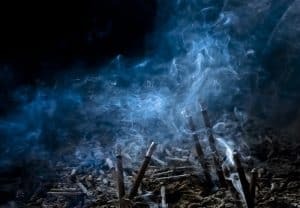 That is, does their practice create real works of art, or are they simply well-crafted expressions with no deeper content than their surface beauty? Everyone writes, and thus everyone, intentionally or not, creates calligraphy. Today cameras are ubiquitous. Anyone and everyone can “take a picture” and post it on Facebook for instant consumption. In photography, Alfred Stieglitz fought the battle for Photography as Art in the early 1900’s. He seems to have won in at least being able to separate Photography as Art when the intention is Art and not mere documentation. Documentation can produce moving photographs: think of some of the great photo-journalism work over the past 150 years. But the core is not in the art of the photograph itself but rather in what it has managed to record that moves us. It is a product of being in the right place at the right time, not of molding something to your will. Similar is the problem with calligraphy. Is great calligraphy to be found in the hand-inscribed wedding invitation? I doubt it. But calligraphy, like photography, has the potential to move beyond being a mere enhancement to the message it is recording. It can become the message itself. I am Jewish, and an Orthodox approach to Judaism has molded my thinking. Judaism has a calligraphic tradition of Sofrim or scribes. Their writing is extremely well defined: every letter on holy objects that they inscribe, whether a Torah scroll or a Mezuzah or the small pieces of parchment with biblical verse that are put in phylacteries, must conform to numerous religious specifications spelled out by the Rabbis. Failure to do so will render the religious article spiritually meaningless for the user. Thus there is almost no room in the tradition of Jewish calligraphy for individual expression. There is a more relaxed tradition in other areas of Jewish calligraphy: namely in marriage documents and in the Scroll of Esther, which is read on the Purim holiday and in which God’s Hebrew name is conspicuous by its absence. In these documents the scribe is allowed greater freedom in the formation and spacing of letters. But even here the text is of primary significance, and any artistic rendering of the letters is merely for decorative purposes. At the opposite end of the spectrum is the calligraphy from China and Japan which gives rein to free expression. 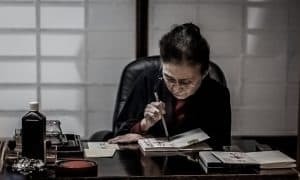 Christine Flint Sato (Japanese Calligraphy, Mitsuru Sakui, Kaifusha Co Ltd, 1999) writes that in the Japanese tradition writing a piece of calligraphy is akin to a performing art. 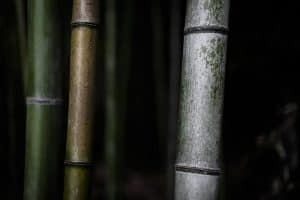 It is practiced repeatedly striving for the ease and perfection of writing it in one smooth perfect unbroken motion, much like a musician practicing and then performing a piece of music. Kampo Harada, perhaps the best known 20th Century practitioner of Japanese calligraphy, travelled the world giving public displays of his art, often with audience participation. Somewhat ironically he felt close to Israel and the Jewish people. He travelled to Israel and maintained the largest private collection of Judaica and Jewish scribal arts in the Far East. That collection is now housed in the Kampo Museum in Kyoto. But what is the connection, if any, between calligraphy and photography? I can only answer in so far as my personal work in photography is concerned. I believe that both, facing the common problem of being widespread and thus being called into question as to whether they are arts or not, have a direct effect on their practitioners. And that causes the serious photographer and calligrapher to strive for deeper expression of his or her personal self through their chosen medium. I often turn to examples of Japanese calligraphy for inspiration. 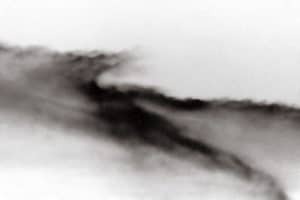 Having had a much longer period of work to draw on (no pun intended) I find that the works of Japanese calligraphers often inspire me to look for new possibilities of expression in photography – possibilities that expand and in some cases distort the “found reality” inherent to the medium. The stretched characters, the free-flowing hand and the contrast of black ink on white paper often serve as a template in my personal works. And this is where words start to fail me. The more immersed I become in the visual arts, the harder it becomes for me to express myself adequately in words. Ideally, my goal is to develop a photographic vocabulary to the point that I would no longer have to write or talk: that I should be able to express myself clearly by showing people a series of photographs stored on, say, my cellphone. Will this ever actually happen? I don’t know. But a person can dream. In any case, at this point I am forced to stop writing and to present you with some examples. Some technical information follows. All photos are taken with professional format Canon digital cameras and processed using Adobe Lightroom. They are then printed on Tecco archival-quality digital photo paper using a Canon iPF500 wide-format photo printer and Canon archival-quality Lucia ink sets. I do all of the processing and printing myself. They are not sent out to a photo printing service. David Rubin is a fine arts photographer with a gift for disclosing underlying grace in his subjects. Using only natural light David reveals layers of truth, elegance, structure, and humanity in his portfolios. As an educated observer, David engages you in his worlds of urban cityscapes, personal portraits, and a deep love of Japan and Japanese culture, among other favorite subjects. Outstanding. Almost as good as the photographs. When a painting or a photograph or any graphic representation or sculpture can be seen again, or a musical number can be heard again, or a poem or prose can be repeated and evoke an emotion always when that happens, we are witnesses to art, The artist has reached from his or her heart and exposed it and introduced it into my own heart and not always with verbal cues. Thank you, Mr Artist, for sharing a piece of your world and depositing it into mine. You’ve made it richer. Wonderful piece. I’m happy to know that the Kampo Museum is alive and well in Shiga! The last time I was in Kyoto it just closed and I was disappointed that I could not have a second visit.